Famous the world over for its wines, Stellenbosch has quietly but surely been building an international reputation as a centre for the arts. Strolling along its historic streets, REBEKAH FUNK finds a treasure trove of public works on every scale. Follow the exciting new Art Route Map to guide you along the way of this gorgeous journey. One of the Winelands’ best-kept secrets, the subterranean Equus Gallery hosts contemporary exhibitions of local artists and sculptors (all available for purchase) under a stretched translucent ceiling with backlit LEDs to simulate daylight. The public gallery also houses a number of noteworthy works from the estate’s private collection of South African masters, along with an impressive collection of rugby and sporting memorabilia. Looking to host a community event? 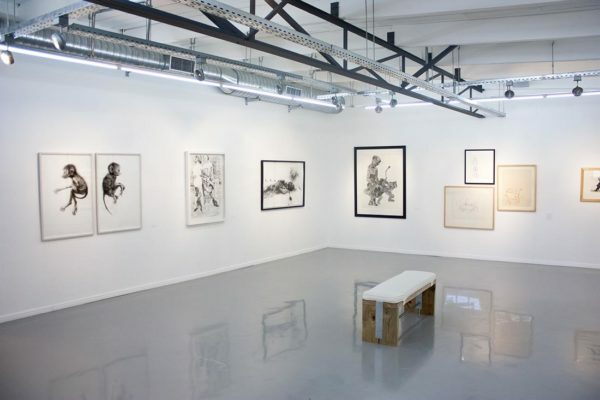 The Gallery of the University of Stellenbosch (GUS) is an off-campus extension of the Visual Arts Department, serving both students and the community as a multi-disciplinary incubator for inspiration, knowledge and ideas. Check what’s on each month: GUS features live music gigs, lectures and discussions, poetry sessions and open workshops. A visit to Dorpstraat Gallery shouldn’t be a one-time event. A local favourite for its diversity of works, the gallery presents new exhibitions every three weeks. Contemporary South African artists are showcased in various mediums, including sculpture and painting, ceramics and glass, and graphic art. Unique pieces of tribal and contemporary jewellery are also displayed. 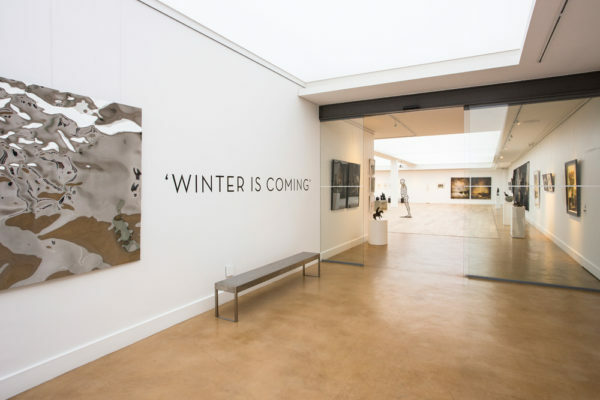 Nestled among wine bars, pavement cafés and boutiques, Stellenbosch Modern and Contemporary (SMAC) regularly shows historical exhibitions alongside its contemporary works from local emerging and mid-career artists, as well as some established international talents. The gallery stimulates visitors to re-evaluate South Africa’s art history and look at it from a global perspective. Looking to expand your art collection? Stellenbosch Art Gallery features an extensive exhibition of paintings, sculpture, handmade glass and ceramics by hand-picked Western Cape masters. Treasured works by Walter Battiss, JH Pierneef, Cecil Skotnes and George Pemba, among many others, are available for purchase. Some of the town’s best works can be located with the help of the new Stellenbosch Art Route map, available at all local tourist offices, museums, art galleries and online. Inspire your own creativity with a visit to The Red Teapot Gallery. This space doubles as a studio for the South African artist Portchie and bills itself as an ‘explosion’ of paintings, sculpture and handmade designer textiles, jewellery and other objets d’art. Its collection has been carefully curated over the gallery’s 12 years of existence, with the result that no item, however unusual, is out of place. 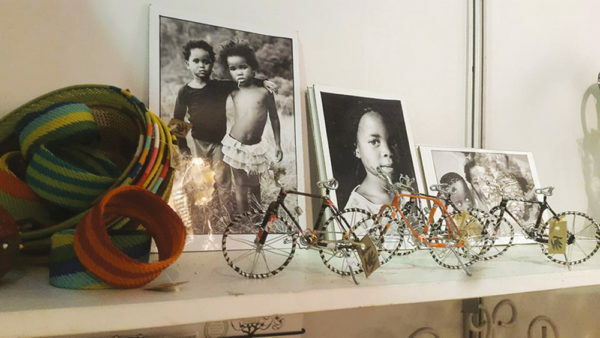 If it’s intricately handmade textiles, beadwork, ceramics or quality gifts you’re after, don’t miss a stop inside iThemba Curio Shop. Meaning ‘hope’ in Xhosa, iThemba aims to empower local artisans from Stellen­bosch’s neighbouring township communities, with each work detailing the story of its maker. 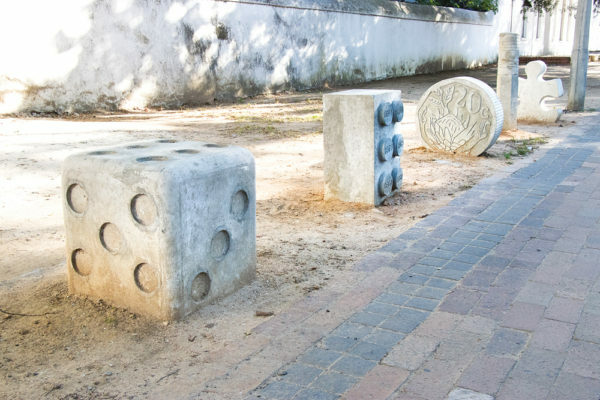 Stumble upon a Stellenbosch Outdoor Sculpture Trust (SOST) exhibit and it’s sure to surprise and delight. This non-profit organisation has invested considerable effort into making contemporary art more accessible in an urban environment and is not only creating public awareness of the interplay between art, architecture and public spaces, but also bringing both established artists and new talent to the people. Its endeavours have earned it significant buy-in from the surrounding community; the trust is sustained thanks to the generous contributions of individuals, foundations and corporations. The SOST will have a new look come February 2019, along with increased functionality, thanks to a rebranding project by third-year students from the Stellenbosch Academy of Design. The students have developed a new mobile app which helps members of the public find their way to art projects and provides information when they encounter them. Pair a delightful wine tasting with a visit to the craft market and sculpture garden at Spier. Showcasing contemporary and traditional works by South African artists and crafters, the outdoor display houses gallery-level paintings and handmade Nguni-style tapestries, along with handmade jewellery, wood and leather work, textiles and ceramics. The description ‘botanical paradise’ barely describes the splendour of this wine estate, where more than 350 indige­nous plants and other imported, non-invasive species grow among shimmering water features and regal sculptures by masters like Deborah Bell, Dylan Lewis, Anton Smit and Lionel Smit. Take an afternoon to enjoy the tranquil garden setting, which blooms 365 days a year thanks to its celebrity horticulturalist designer, Keith Kirsten. Join curator Ulrich Wolff on his Wednesday Art Walkabout round the museum – a history buff’s dream. The building itself is a designated National Monument and its permanent collection includes furniture and objects of historic value, including 140 bequeathed by Maggie Laubser. Don’t miss the anthropology section, home to an unmatched African collection and Cape scenes from the 1800s. Regular temporary art exhibitions are presented, showcasing national and international artists. of Lewis’s early and recent works on the family farm: African rhino, buffalo and dynamic big cats, shamanic figures and abstract fragments, as well as Rodinesque nudes. Open to visitors by appointment, the grounds are a slice of recreated wilderness that’s home to the Johannesburg-born sculptor’s original foundry and new exhibition spaces. craftsmen at Nooitgedacht Estate’s foundry. 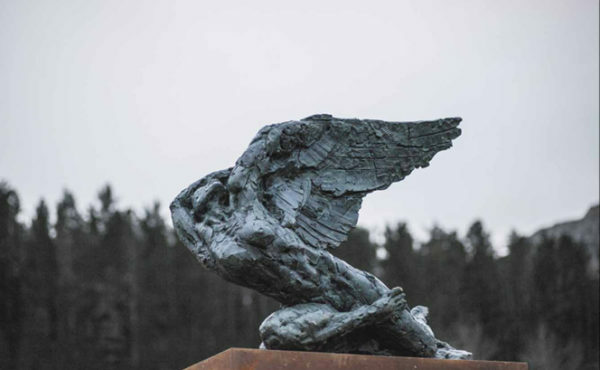 Bronz Editions features the sculptural works of acclaimed artists, including Lionel Smit, Barry Jackson, Theo Megaw, Anton Momberg and Fana Malherbe, whose works are cast on-site. 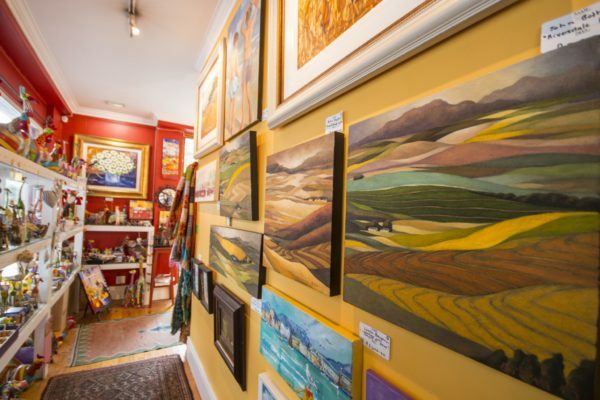 With more than 30 years of specialist experience in the art sector, owners Gerrit Dyman Sr and Gerrit Dyman Jr have amassed an extensive and exclu­sive collection of original South African art, including the works of world-renowned masters and established contemporaries. Current holdings include pieces by Irma Stern, Gerard Sekoto, Walter Battiss, Ephraim Ngatane and Marlene Dumas, among others. Collectors, take note: the gallery offers expert valuations and art investment advice.